From the playground to parliament, bullying exists everywhere. In fact, a recent report into bullying in the United Kingdom’s parliament revealed just how serious this problem is, urging behavioral change among MPs. But why is bullying so widespread and difficult to tackle? Part of the problem is that bullies sometimes don’t even realize they’re bullies. 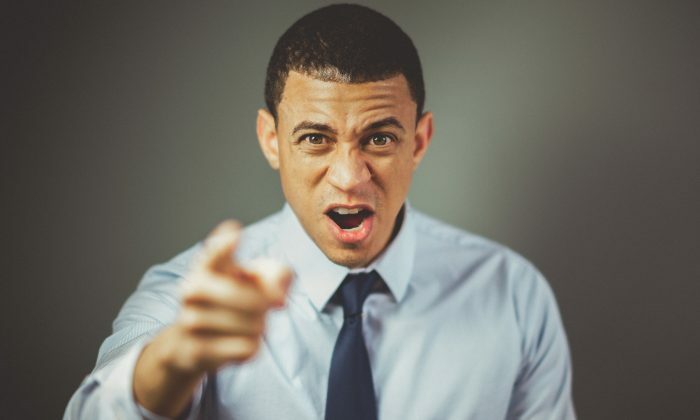 For example, bullying managers may easily justify upsetting certain employees by telling themselves that they are only pushing them to be their best. Or they may be nice to the people they bully at times, and only remember those instances. They may even think that people who break down as a result of their behavior are not strong enough to work in the profession in question. But how do you know you are actually bullying someone rather than just dealing with an overly sensitive person? Academics still disagree about how bullying should be conceptualized and defined. It may take many forms, from physical assault, verbal abuse and social exclusion to cyberbullying. Generally, to be considered bullying, the practice must be carried out either by an individual or a group, repeatedly over time, and with an intent to hurt an individual person. The fact that we have no clear definition might explain why it is sometimes difficult to estimate the prevalence of workplace bullying. In 2017, the Workplace Bullying Institute estimated that 60.3 million workers in the United States have been affected by workplace bullying. In the United Kingdom, the Advisory, Conciliation and Arbitration Service reported having received 20,000 calls from workers related to bullying and harassment in 2016, many of whom were from an ethnic minority employed in the public sector or women who worked in traditionally male-dominated professions. The real figures may be distorted as bullying is not always reported, out of fear of retaliation or perhaps because the person affected might not realize they are being bullied. If your self-esteem has been crushed, you may end up blaming yourself, thinking you are worthless and even justify being bullied—not realizing you are actually being abused. Bullies have traditionally been viewed as having low IQ and being socially inept—lacking in social cognition. We now know that this often isn’t the case, but it may contribute to people failing to recognize themselves as bullies. Some researchers have found evidence that bullies actually score high in their social information processing abilities, as it takes a certain amount of skill to recognize who to target and how. What bullies often do is seek out people with low self-esteem to pick on. In doing so, they maintain their standing and increase their confidence, which in turn raises their own self-esteem to unrealistically high levels. However, bullies often lack empathy—a sense of understanding for how those affected might feel when they bully. This could also contribute to them failing to associate their behavior with bullying. They may intend to hurt an individual in the brief moment they are attacking them, but afterward tell themselves that it wasn’t a big deal, that the victim somehow deserved it or that it was a one-off. Educating people about bullying is a positive step forward. In the meantime, we should all make sure we are doing everything we can to treat others with respect. Chantal Gautier is a senior lecturer in psychology at the University of Westminster in the UK. This article was first published on The Conversation. Self-compassion research challenges the self-esteem movement while tackling the "inner bully."